Fine needle aspiration cytology (FNAC) is a popular and effective technique for quick tissue diagnosis. It is used to investigate superficial lumps or masses that are just under the skin. 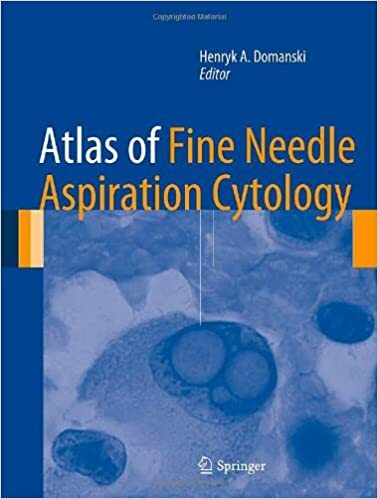 This atlas is a practical guide to fine need aspiration cytology for trainees and pathologists. 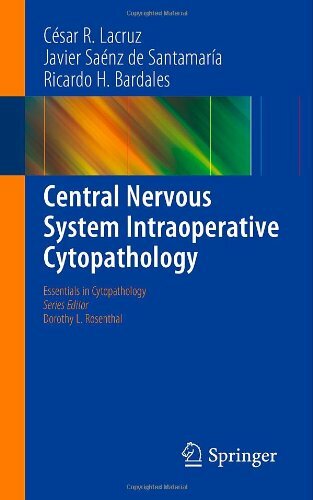 Beginning with an introduction to its clinical use and techniques, the following chapters examine the procedure in all anatomical regions of the body, including lung and pleura, breast, liver, kidney and musculoskeletal system. 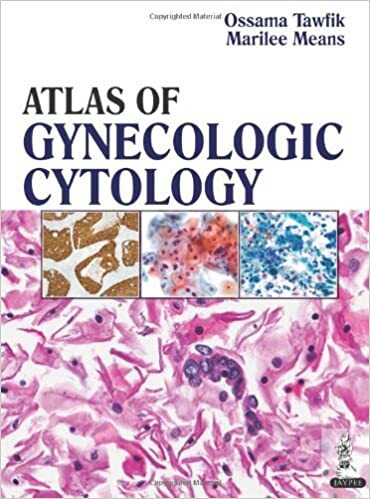 This concise atlas evaluates the use of digital imaging technology, with emphasis on TelePAPology(TM), for the pathological examination of gynecological problems, specifically the PAP smear. TelePAPology(TM) is a web-based diagnostic process allowing virtual slides to be analysed and interpreted remotely. Beginning with the historical background of the Pap test, the following chapter examines its future and the impact of digitisation and automation. 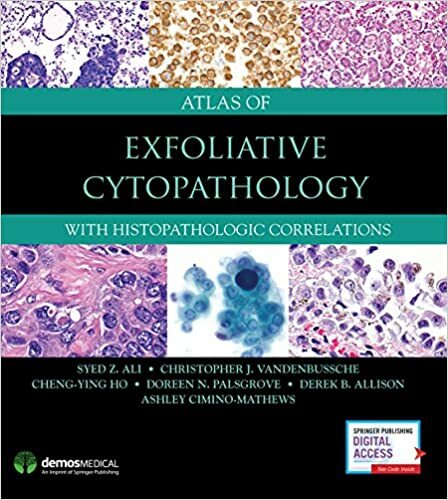 This generously illustrated, user-friendly atlas for both cytopathologists and surgical pathologists is a practical guide to the diagnostically challenging area of cervical cytopathology. 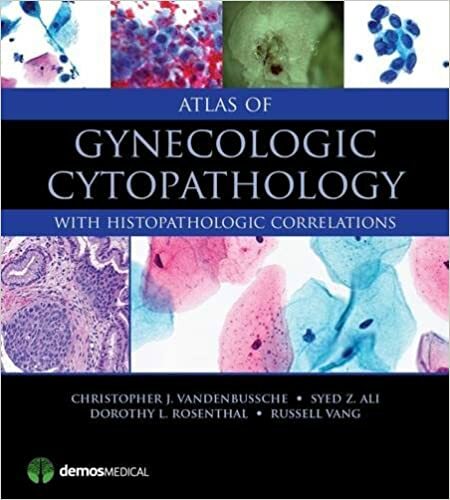 Not only does the Atlas feature concise, expert descriptions of the full range of cytopathologies in the gynecological tract, it also presents and contrasts problematic pathologies that can potentially lead to erroneous interpretation. 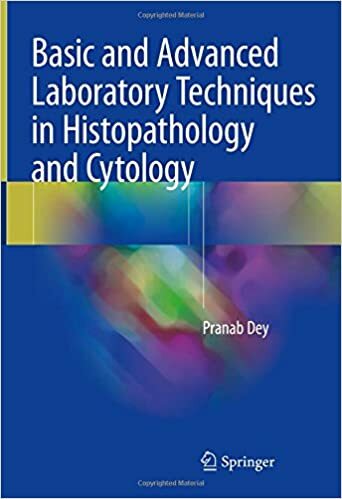 Cytology is a unique subspecialty in anatomic pathology, and plays a critical role in the diagnosis of a variety of benign and malignant lesions by using minimally invasive procedures, such as fine needle aspiration, brushing, washing and lavage. Cytology not only provides an accurate diagnosis of the lesion based on the cytomorphological evaluation at cellular level, but also provides material for molecular characterization of a tumor for targeted therapy. In the era of personalized medicine, cytology has continued to grow and evolve as an important diagnostic tool. 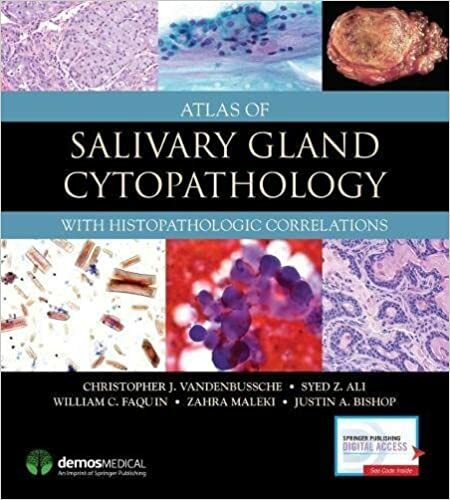 Atlas of Salivary Gland Cytopathology with Histopathologic Correlations is a comprehensive diagnostic guide for anatomic pathologists that accurately identifies salivary gland disease using fine needle aspiration (FNA). It not only illustrates the cytomorphology and histology of salivary gland specimens, but also presents and contrasts common problem areas that can lead to erroneous interpretation. 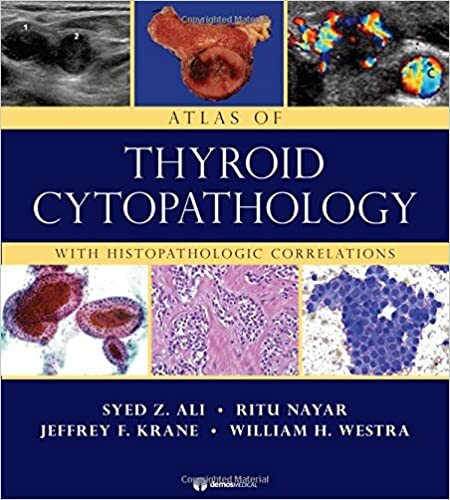 The Atlas of Thyroid Cytopathology is a generously illustrated and user-friendly volume that serves as a desk reference and a practical guide in the diagnostically challenging area of thyroid cytopathology. 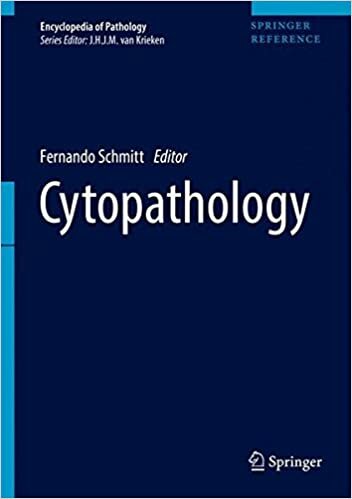 The text is comprised of 500 high-resolution color images that thoroughly illustrate the important aspects of the cytopathology of thyroid disease. 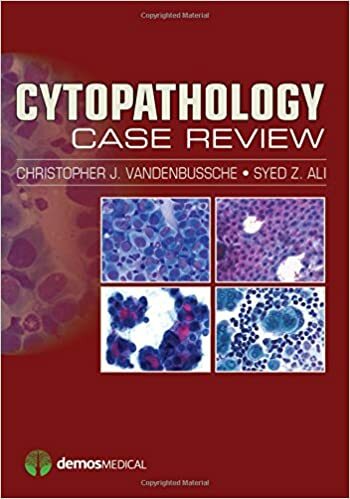 Complete coverage of thyroid cytopathology is provided; in addition to full coverage of non-neoplastic lesions, benign and borderline neoplasms and papillary thyroid carcinoma, chapters include normal cytology, uncommon primary neoplasms, follicular neoplasms, Hürthle cell neoplasms, medullary thyroid carcinomas, and metastatic and secondary cancers. 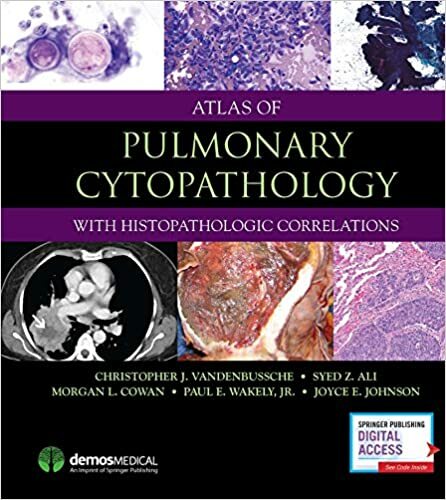 This is the first atlas dedicated to touch preparation cytopathology. 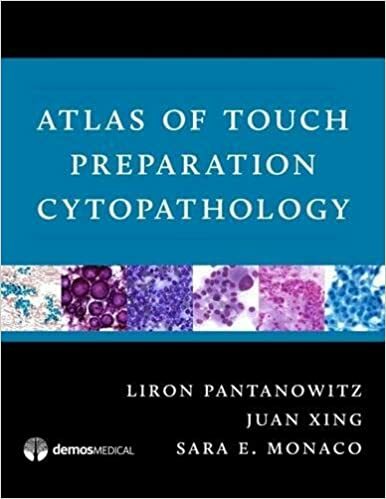 Written by established pathologists who are at the cutting edge of this minimally-invasive practice, the Atlas of Touch Preparation Cytopathology presents a comprehensive overview and visual reference guide to the diagnostic applications of touch preparations. This visually-stunning book reviews touch preparations corresponding to all major body systems and includes chapters on specimen handling and processing, intraoperative use during frozen sections, as well as on ancillary testing using touch preps. 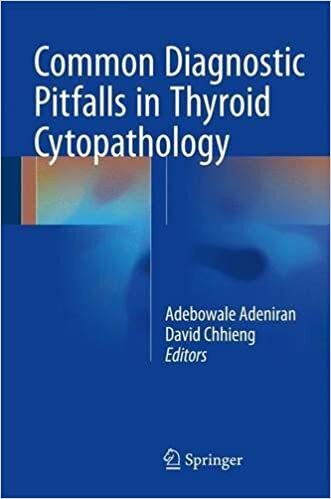 This text provides a comprehensive review of the most frequently encountered diagnostic pitfalls in thyroid cytopathology. Written in a case study format, the text provides the most current and complete information on both non-neoplastic and neoplastic thyroid conditions. Each chapter focuses on a specific diagnostic challenge and/or pitfalls that help in the differential diagnosis as well as the judicious use of ancillary studies when necessary. 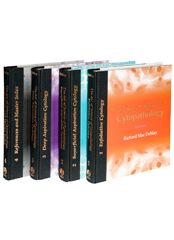 Each volume in this richly illustrated series, sponsored by the Papanicolaou Society of Cytopathology, provides an organ-based approach to the cytological and histological diagnosis of small tissue samples. Benign, reactive and malignant entities are presented in a well-organized and standardized format, with high-resolution color photomicrographs, tables, tabulated specific morphologic criteria and ancillary testing algorithms. 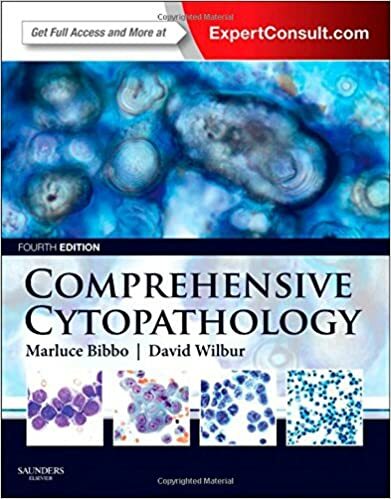 This book covers the complete field of the Cytopathology - from cytological findings of Acinic cell carcinoma Disease to Warthin tumor. The alphabetically arranged entries, each of which provides a detailed description of a specific pathological disease pattern, allow readers to quickly and easily find the information they need. Pathology residents, fellows, and practitioners will welcome this cytopathology review atlas of carefully selected case scenarios drawn from the Johns Hopkins case archive. Mirroring the format of the practical segment of the pathology board examination and the most commonly used format for pathology classes and workshops, each illustrated case scenario contains multiple-choice questions along with detailed explanations and references. In recent decades, cytopathology has assumed an increasing role in the primary diagnosis of mass lesions owing to its ability to deliver rapid, non-invasive, and timely information. 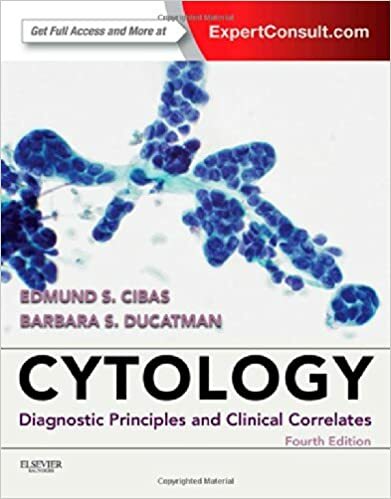 This book provides a comprehensive overview of the role of cytology at various body sites. 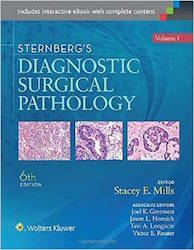 The diagnostic details covered are abbreviated in comparison with those in pathology texts. Instead, a more clinical approach is taken, with the focus on the advantages and limitations of techniques and the key features of entities that are important to clinicians. Pathological - clinical correlation is highlighted throughout the book, ensuring that it will be highly relevant for clinicians. 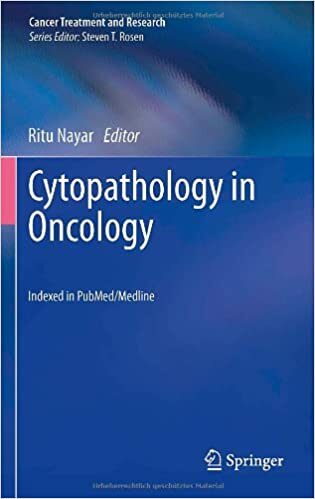 In particular, physicians who deal with oncology patients will find it to be a rich source of guidance on how to use and understand cytopathology in the diagnosis and exclusion of malignancy. The neuroendocrine system is fascinating, intriguing, and complex and has sustained the interest of scientists for over centuries. Yet, the wealth of information on neuroendocrine tumor types and differential diagnoses has not, until now, been compiled in one comprehensive resource. 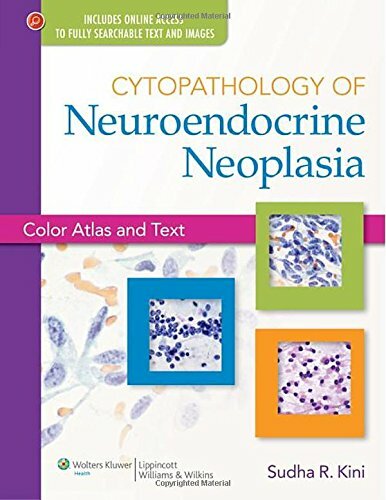 To meet that need, this unique atlas is dedicated exclusively to providing expert, illustrated coverage of the cytopathology of neuroendocrine tumors. Content addresses the wide distribution of the neuroendocrine cells in the body and the ubiquitous nature of their neoplasms. 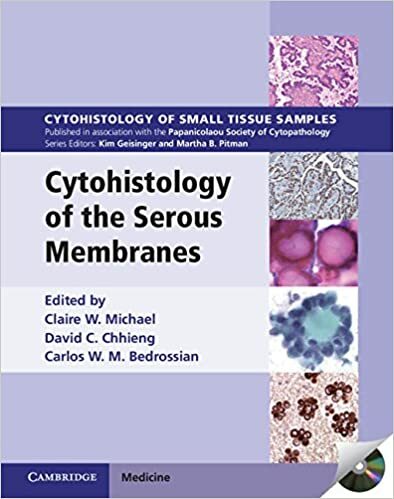 Readers will also explore detailed descriptions of the morphologic spectrum of the neoplasms (including different terminologies), as well as their immunocytohistochemical properties, associated ultrastructural findings, secretory products, and their association with many hereditary syndromes. 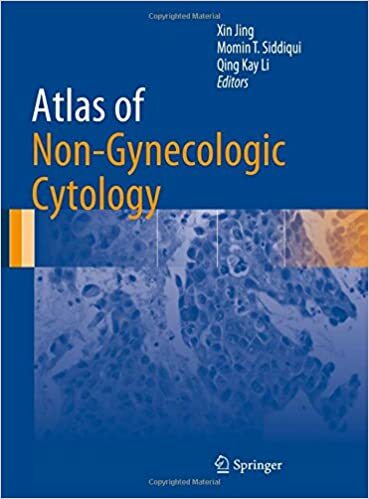 The atlas delivers detailed information on cytomorphology of neuroendocrine neoplasia not found in textbooks. Over 1000 high-quality, full-color illustrations assist in differential diagnosis. Current tumor classifications for each body system are included as an appendix at the end of each respective chapter. A handy glossary clarifies differences in terminology. 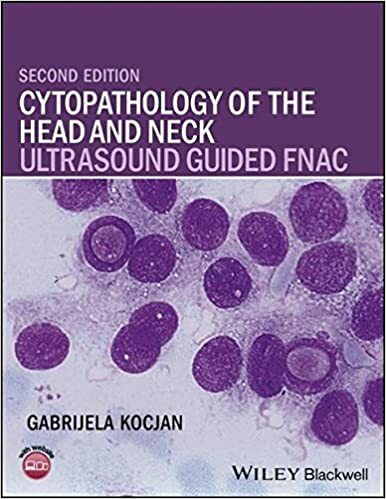 Cytopathology of the Head and Neck: Ultrasound guided FNAC supports the learning of new skills expected of practicing pathologists by providing a comprehensive approach to cytopathology, including performing FNAC and on site interpretation. 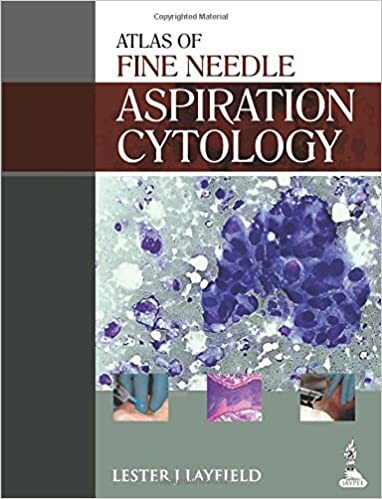 New to this edition is coverage of ultrasound (US) guidance the use of which has emerged as an essential adjunct to either Fine Needle Aspiration Cytology (FNAC) or needle core biopsy, and is expected to increase. US combined with US guided FNAC is now recommended as the investigation method of first choice for HN lesions for evaluating regional metastases in HN patients, for both those with and those without palpable lumps. 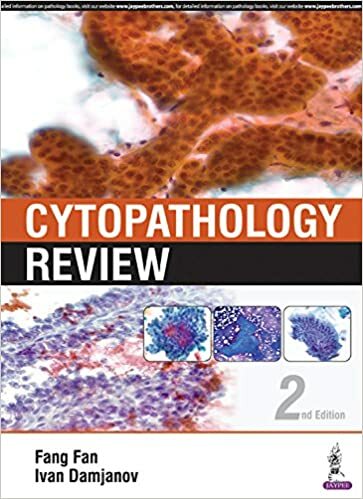 This new edition provides trainees with a comprehensive review of cytopathology, presented as multiple choice questions with answers and detailed explanatory notes. Divided into twelve chapters, the book covers different body systems including the respiratory tract, breast, thyroid, lymph nodes, liver, gastrointestinal tract, and much more. 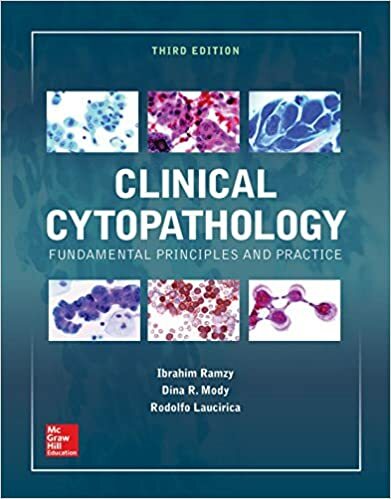 Each chapter has been fully updated and questions are in line with those trainees may encounter in American Board of Pathology examinations.